Welcome to P-Ban Concrete Pumping Ltd. The P-Ban name has been synonymous in the concrete industry since 1977, in 2013 P-Ban’s Fort McMurray Operations was acquired by REACH CSG. Since then we not only service the Regional Municipality of Wood Buffalo but have also expanded into the Fort St John / Dawson Creek BC Region. 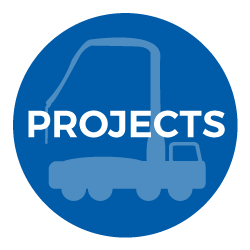 As a custom concrete pumping company there is no project to small or too large for us to tackle. We set the highest standards for safety in the industry. We services all industry sectors: Industrial, Commercial & Residential.